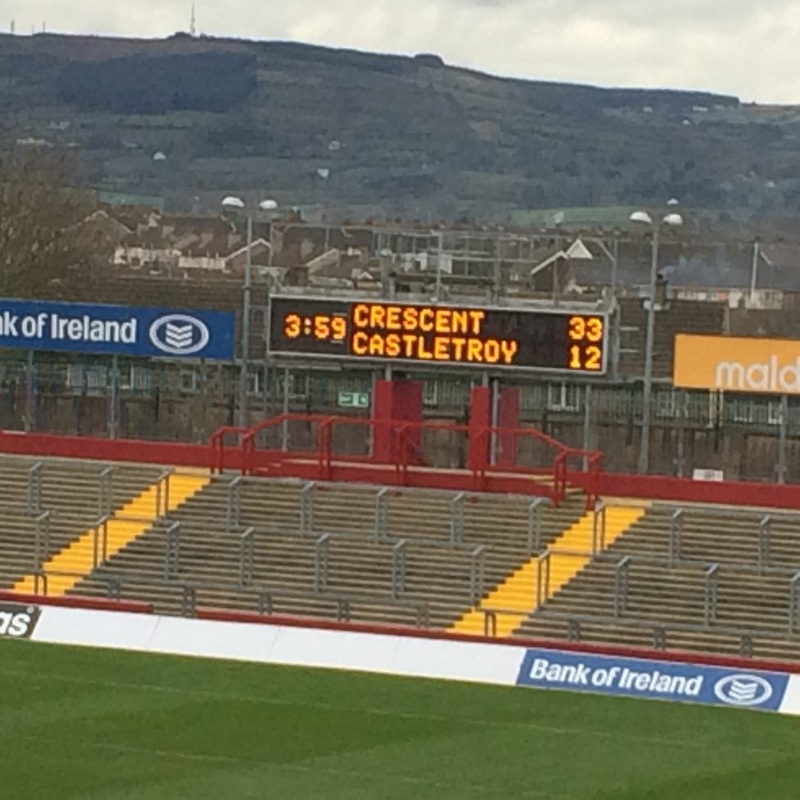 80″: Full Time: Castletroy 12-33 Comp. 68″: Try Comp: Billy O’Hara breaks two tackles and scores under the posts. Converted by Daniel Hurley. 12-33. 65″: Injury for Shane Mullins and Eoin Carew comes into the game. 60″: Try Comp: Try under the posts again for Comp. Converted by Daniel Hurley. 12-26. 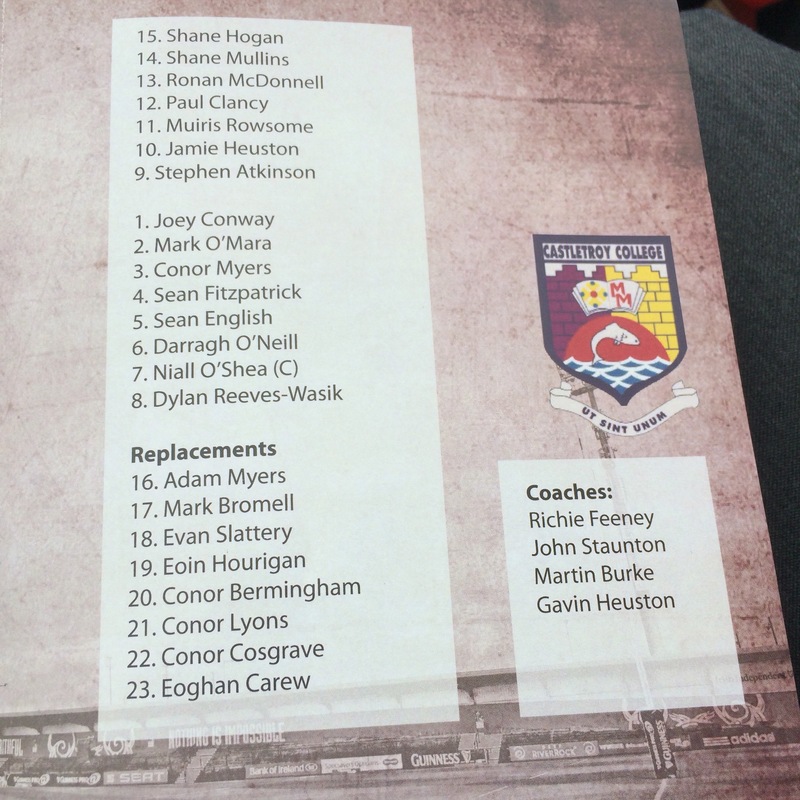 55″: Castletroy have dominated the last few minutes with no avail and great tryline defense from Comp. 42″: Missed Penalty Comp get an early penalty but miss it. 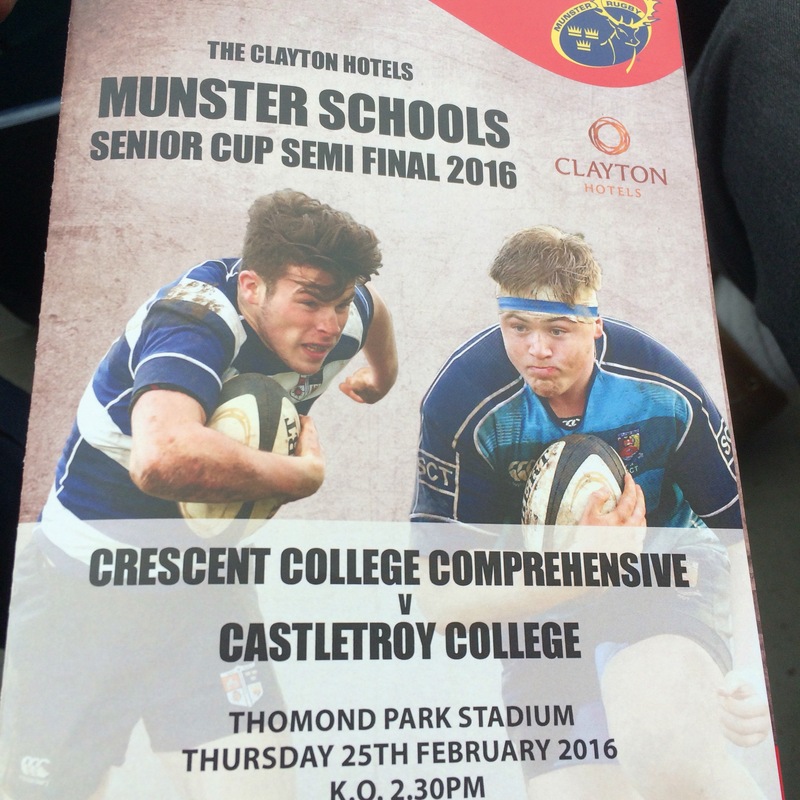 40″: Half Time: Castletroy lead Comp 12-0 at the interval. 35″: Last few minutes the game has been heavy with plenty of big hits and scrums. 26″: They trade kicks and Castletroy end up with possession in Comp territory. 24″: Try Castletroy Conor Myers scores a well-worked lineout move. Missed Conversion. 12-0. 20″: Try Castletroy Stephen Atkinson gets over the whitewash from close range. Converted by Jamie Heuston. 7-0. 19″: Yellow Card: Fintan Coleman gets sin binned for late hit. 15″: Missed penalty for Jamie Heuston. The momentum has changed. 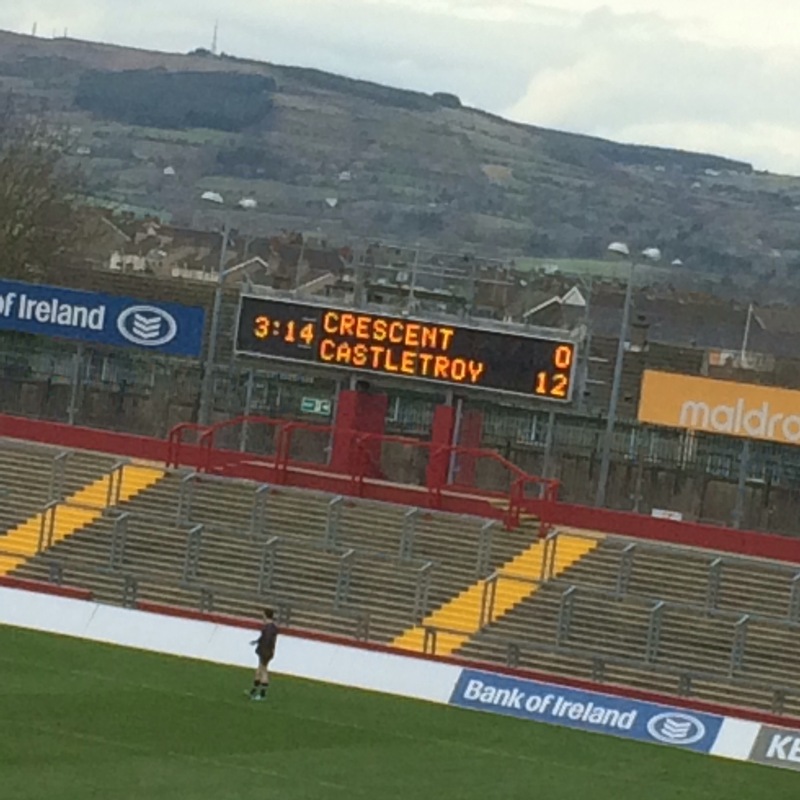 10″: Early pressure going Comp’s way, Castletroy holding out. 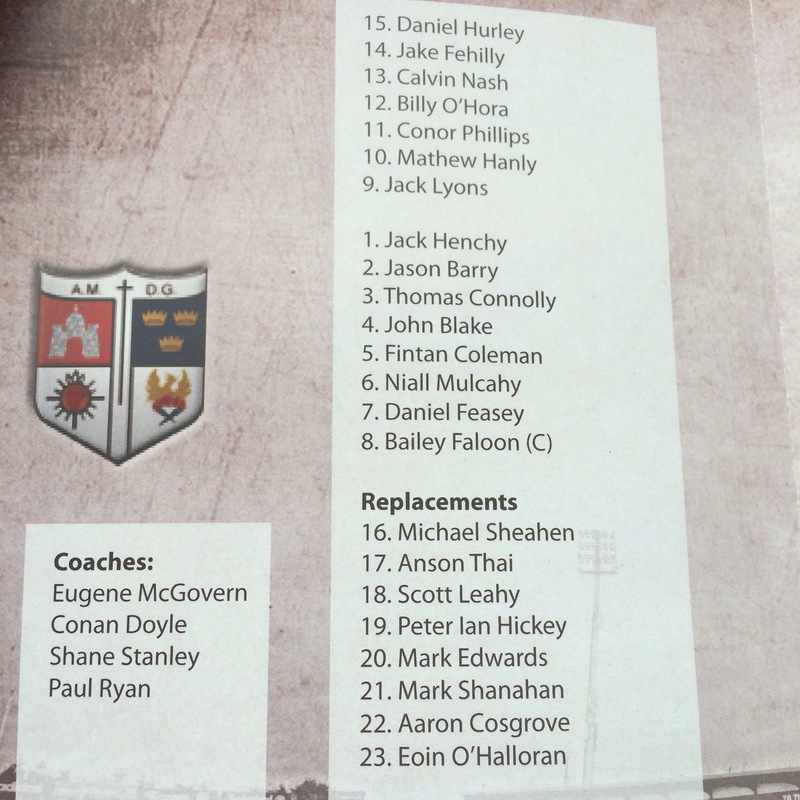 7″: Unbelievable try saving tackle from Ronan McDonnell results in a scrum for Castletroy. 4″: Atkinson penalised but Castletroy win back the possession. Lots of early penalties. 1″: Comp kick off and earn an early scrum before being penalised. 0″: Comp supporters before the game. Brilliant stuff! 0″: Program for the match. 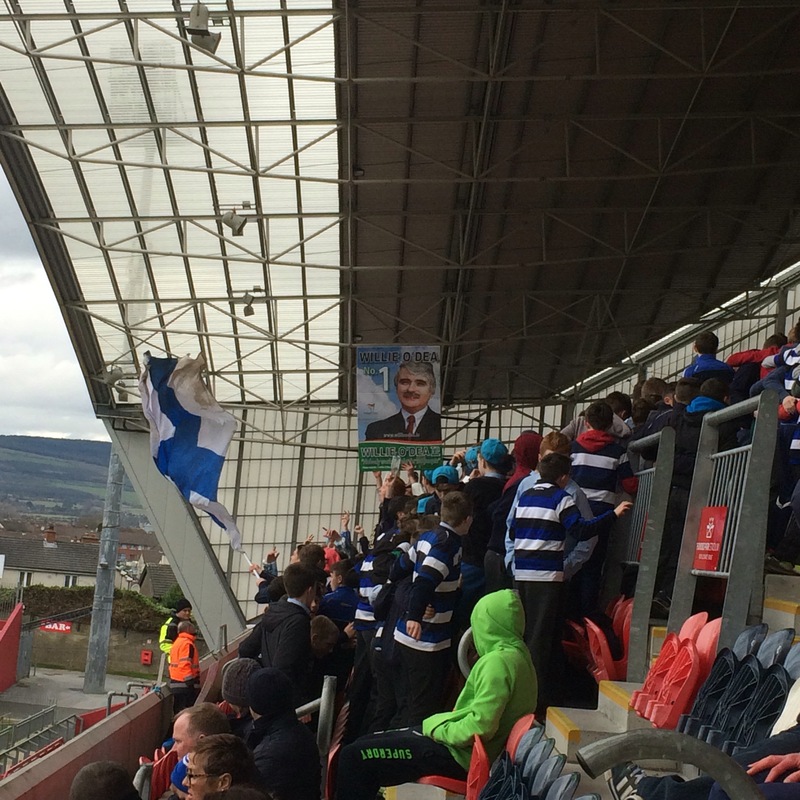 0″: Huge crowds from both sides fill into the stand at Thomond Park for this Senior Cup Classic.